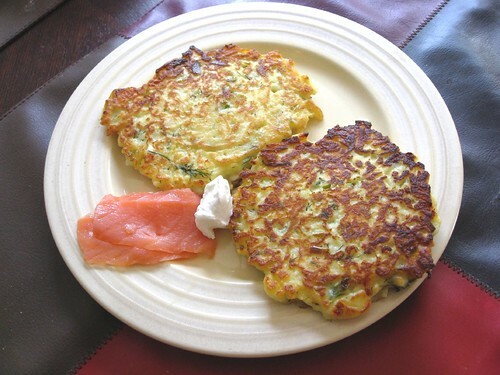 I blogged about wonderful mukver – turkish zucchini and feta pancakes before, and meant to make them today for breakfast. 0.5 lb feta, 2 large golden delicious grated in food processor – skin and juice and all, 3 eggs, 3/4 cup of flour, 3 scallions, 1 tbs of dill. Drop the batter on the hot saute pan by 1/3 cup measure (not full), flatten and fry for about 3mins on each side. Serve with yougurt. 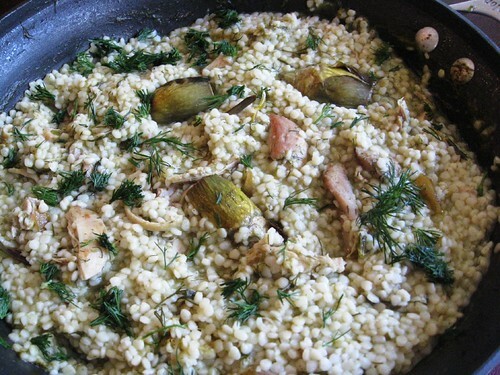 Delicious with smoked fish. Found a good source for real farmers cheese (tvorog in russian). 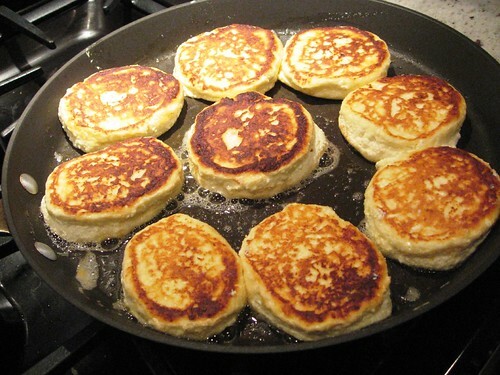 And after couple trials found a good formula for syrniki – russian breakfast cakes. about 8mins on each side on med low heat (mark 2 at mine).